"The Man With The Golden Gun" had its world debut at the Odeon Leicester Square on 19th December 1974 and then opened across the US, UK, Denmark and West German the same day. Prince Philip attended the screening and gala. 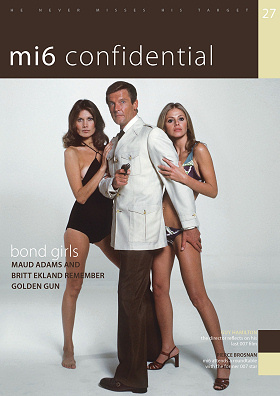 Roger Moore's second outing in the tuxedo and Harry Saltzman's last as co-producer sent 007 to Southeast Asia. The director, Guy Hamilton, recently reflected with MI6 Confidential on the inspiration for the locations: "Weâd done the Caribbean, weâd done America, so we thought about moving East. I was quite tempted by the Far East because I had gone with Carol Reed as an assistant and Iâd had an absolutely fabulous trip around the Far East looking for locations for a picture that was finally made in Ceylon. I wanted to go back to Hong Kong and Singapore and all the places I had been. So I went off with Cubby and we searched around." Although early box office results were hopeful, ticket sales for "Golden Gun" tailed off rather quickly. Ultimately it made $97.6m from a $7m budget, but competing films, "The Godfather: Part II" and "Young Frankenstein" made, respectively, three and four times the Bond adventure.